This Pilsner-style brew from Colorado-based Oskar Blues pours a glowing-golden medium straw body, clear with a chilled-haze. The head is a large, soft, airy foam in off-white. The nose is feint overall with a slight sour graininess and mild apple juice notes. The aroma is semi-sweet with a dusting of hops. A mild carbonation produces a muted crispness on the tongue. Apple juice comes through with a hint of under-ripened pear. The beer is very lagery with an emphasis on light malt body. A very light hopping provides a hint of drynesson top of a vague honey sweetness. 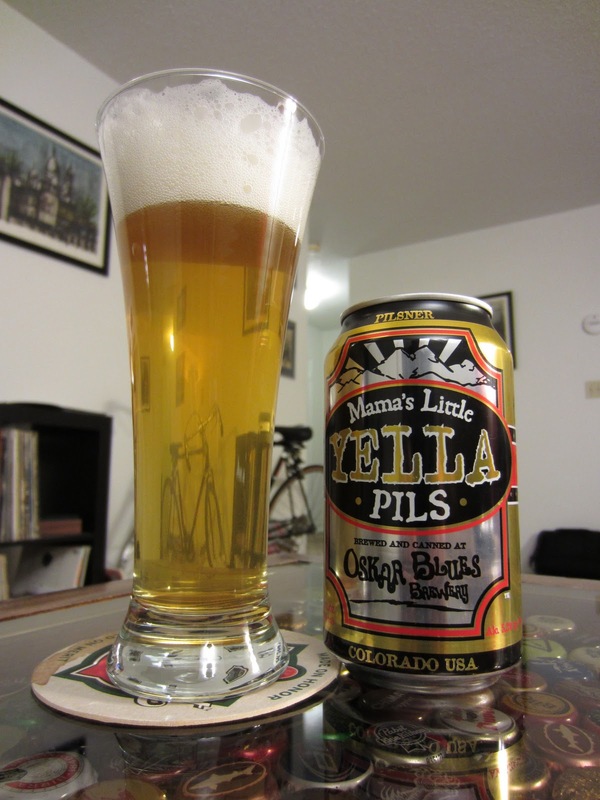 No Noble hop influence in this lager steers it away from its Pilsner designation. A finish is semi-tight with carbonation, a sweet malt profile and understated hops.